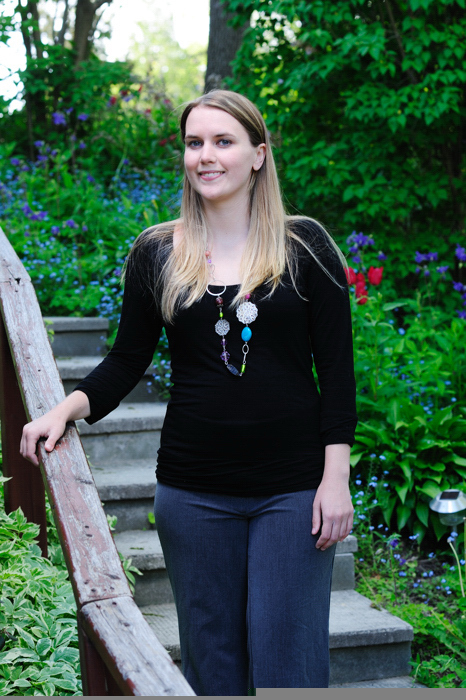 The Alberta Historical Resources Foundation awarded 82 grants worth over $1.48 million. The Heritage Preservation Partnership Program approved 81 grants to assist individuals, municipalities and organizations in preserving and interpreting Alberta’s heritage. Project grant categories are: historic resource conservation, heritage awareness, publications and research, as well as the Roger Soderstrom Scholarship. As well, the Municipal Heritage Partnership Program awarded a grant to the City of Edmonton to complete a heritage inventory of the Calder neighbourhood. The next application deadline for the Heritage Preservation Partnership Program is September 2, 2014. Click here for a complete list of the funded projects. Have a happy Canada Day everyone! Register Now for the 2014 Municipal Heritage Forum! We are pleased to announce that registration for this year’s Municipal Heritage Forum is now open! The Forum is being held on October 16th and 17th at the Lacombe Memorial Centre in the City of Lacombe. The theme for this year’s Forum is “New Ideas for Historic Places: Conservation through Technology and Innovation”. 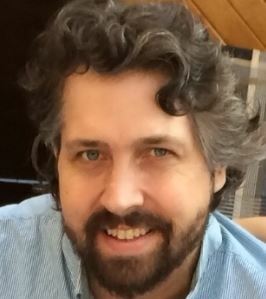 Our keynote speakers for this year include Kayla Jonas Galvin of Archaeological Research Associates in Kitchner, Ontario and Larry Laliberté, GIS Librarian at the University of Alberta. Kayla specializes in social media and will be speaking about how you can use social media to conserve local historic places and Larry will be presenting his research on the application of Geographical Information Systems and geovisualization to linking local digital collections. A preliminary version of the Forum schedule is available here. Registration is available online. Space is limited so please register today. We look forward to seeing you in beautiful Lacombe! A Treasure Trove of Albertan Archaeology Now Online! 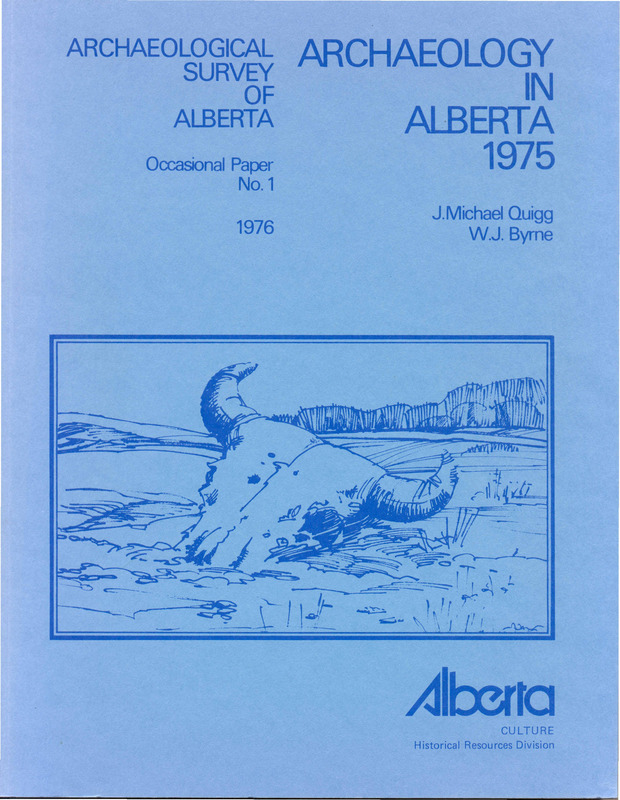 Back in the 1970s and 80s, the Archaeological Survey of Alberta published a highly-regarded series of occasional papers, known affectionately in archaeological circles as the “Blue Series,” for its characteristic cover colour. Occasional Paper No. 1, published in 1976. Robin Woywitka, Cultural Land Use Analyst with the Historic Resources Management Branch commented on how this rich collection of literature has become a coveted resource, with well-worn copies sought after by professional archaeologists and others interested in the field. As it turns out, the series is not just a relic of the past, but has stood the test of time. Now, by popular demand, the whole series is available online free for download! Jared Majeski, Heritage Division Web Assistant, collaborated with Woywitka to see the project through to completion. Many avid archaeologists have requested this, and those requests have been heard. 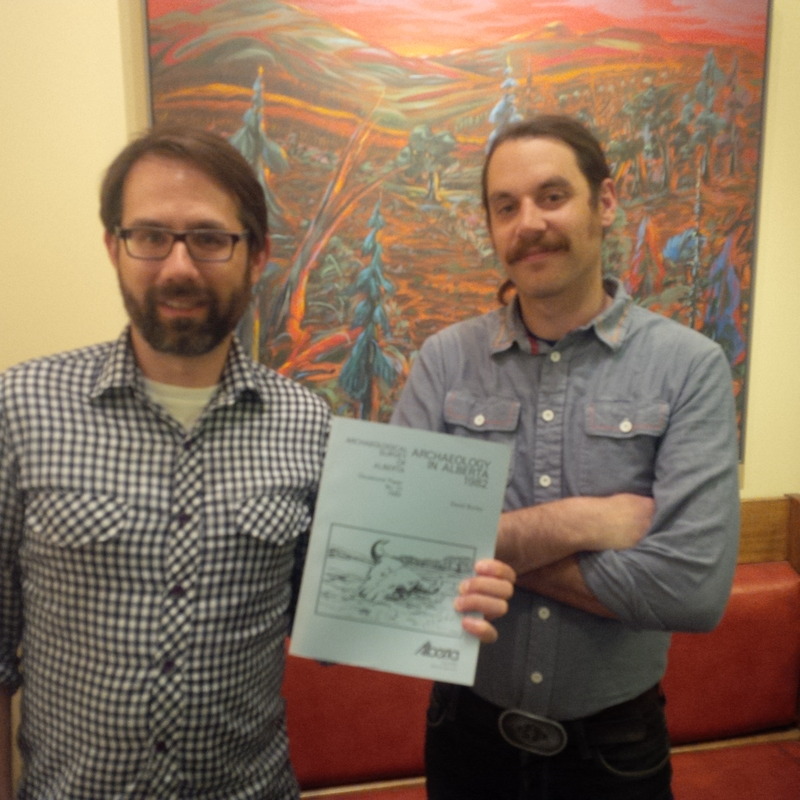 Robin Woywitka, Cultural Land Use Analyst, and Jared Majeski, Heritage Division Web Assistant, proudly display a copy of one of the Occasional Paper series, now online. In addition, the series is being revived! New contributions to the Occasional Paper series are welcome. The new series will focus on the annual review style volumes that were a hallmark of the original Occasional Papers. Please consider submitting a manuscript on topics of Alberta archaeology (submission guidelines are here). The deadline for submissions for the 2014 annual review volume is January 31, 2015. Ideas for edited thematic volumes that stretch beyond the confines of Alberta are also welcome. Written by: Matthew Francis, Manager, Municipal Heritage Services. The Historic Resources Management Branch of Alberta Culture works with Aboriginal communities to help preserve and protect their cultural heritage sites. Alberta Culture also recognizes the benefit of working collaboratively with Aboriginal communities on the promotion and interpretation of Aboriginal cultural heritage and welcomes inquiries from communities who would like assistance in this regard. June 21 is National Aboriginal Day, a day for all Canadians to celebrate the cultures and contributions to Canada of First Nations, Metis and Inuit peoples. The history of National Aboriginal Day harkens back to 1982 when the National Indian Brotherhood (now the Assembly of First Nations) called for the creation of National Aboriginal Solidarity Day to be celebrated on June 21. Thirteen years later in 1995, the Royal Commission on Aboriginal Peoples recommended that a National First Peoples Day be designated. National Aboriginal Day is now part of a series of Celebrate Canada days, beginning with National Aboriginal Day and followed by the National Holiday of Quebec on June 24, Canadian Multiculturalism Day on June 27, and concluding with Canada Day on July 1. 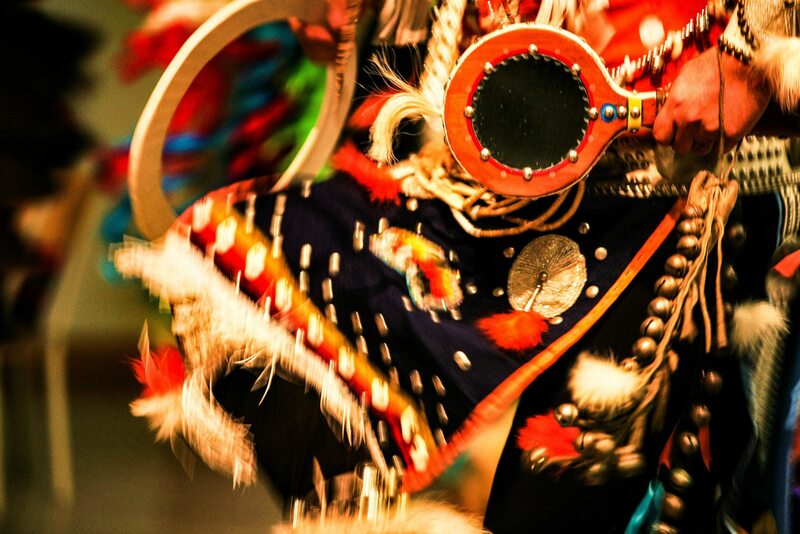 Edmonton is celebrating National Aboriginal day as a week-long event. Here is a list of exciting events to partake in; I hope to see you there! Written By: Andrea Menard, Aboriginal Consultation Advisor. The word ‘Okotoks’ translates from the Blackfoot language as ‘Big Rock.’ The name was given by the resident indigenous people to a very large boulder that is known as a glacial erratic – boulders that have been moved from their original location by glacial ice. 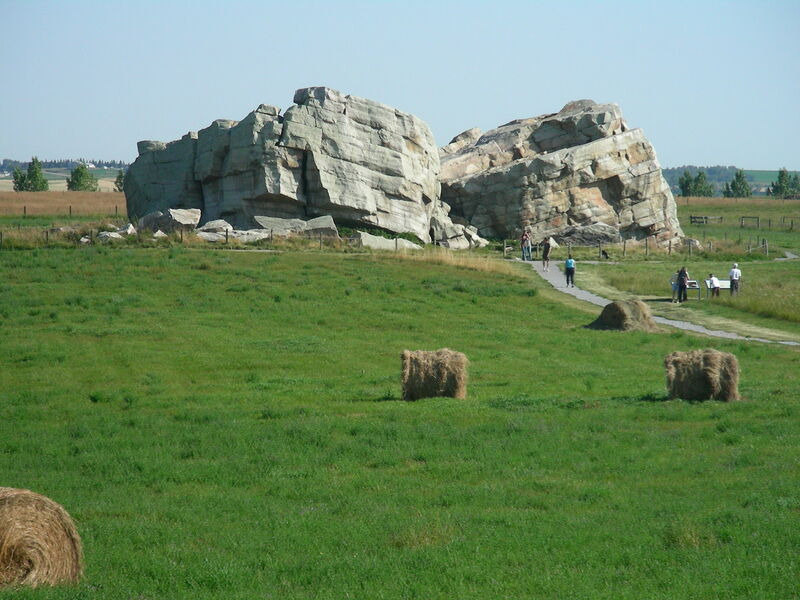 Okotoks is by far the largest erratic in Alberta; it is about the size of a two-story house and is estimated to weigh nearly seven million kilograms. The Big Rock is a well-known landmark in southern Alberta. It is a designated provincial historic resource owned by the Government of Alberta, and is accessible to the public by means of a hiking trail, signage and a parking lot. What is not well-known is that the Okotoks Big Rock has a great deal of Aboriginal rock art painted on its surfaces. 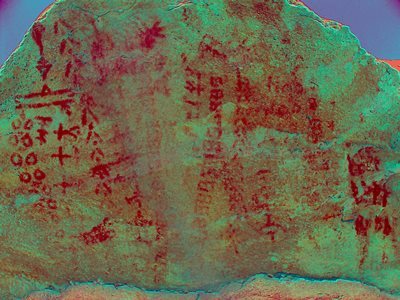 Rock art includes pictographs (paintings) made with a red paint composed of iron-rich hematite (red ochre). The existence of a few red ochre images on the Big Rock has been known for decades, but the revolution in digital photography and image enhancement has brought to light a whole lot more art on the Okotoks erratic than previously known. Specifically, we now know that some areas of the rocks were extensively rubbed with red ochre. 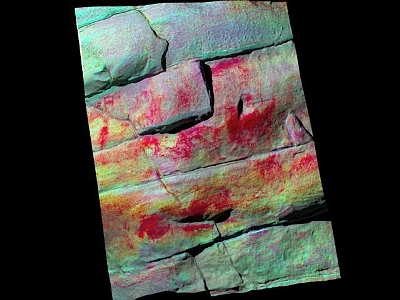 Since these red areas lack definable rock art figures like humans and animals, it was long believed that the red blotches were simply part of the rocks’ natural colour. 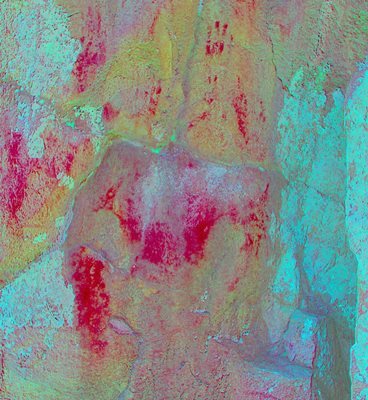 Through enhancement we can now pick out hand prints and finger swipes, telling us these red blotches were indeed made by human beings. Photo-enhanced areas of red ochre smeared on Okotoks Erratic. Note hand prints at top. All rock art sites are sacred to Native people; rock art represents communication between human beings and the spirit world. Blackfoot people still visit the Okotoks site, conduct ceremonies, and hold the site in great reverence. Thus, it is all the more sad and frustrating that the Okotoks erratic has been subjected to extensive and increasingly frequent bouts of vandalism. As the site is operated by the province and is open to the public, there comes a point where some action needs to be taken. It is an eyesore, an embarrassment and severely disrespectful to the Blackfoot beliefs about the sacred character of the rock. But what can be done with a massive rock surface covered with graffiti that underneath lies fragile, precious painted pictures that tell stories of ancient Aboriginal people? In the past few years, serious incidences of graffiti were washed off the rock face using a high pressure water sprayer. More recently, an environmentally friendly paint stripper had been used with good success. But critical to any graffiti removal has been potential impact to underlying rock art. We realized that we could never properly manage the site until we had a high-quality “map” of the rocks that plots the complex rock structure and the locations of all the rock art images. We realized that the best way to make a physical record of the Big Rock was to record it in 3D using a portable laser scanner. While documentation won’t stop vandalism at Okotoks, it will make us much better prepared to deal with future instances in a way that protects significant historical resources. A partnership with the internationally respected organization CyArk was formed. CyArk is a nonprofit organization dedicated to digital recording and preservation of the world’s most significant sites. Among their credits are 3D recordings of the statues of Easter Island, Pompeii, ancient Thebes, and Mt. Rushmore. CyArk also digitally stores the 3D information for each site, serving as a world archive of heritage data. CyArk retained a local service provider to assist with the equipment and expertise to conduct the laser scanning. In early October 2013 the entire external surface of the Okotoks Big Rock, including the tops of the rocks and some internal crevices, was scanned during two days of field work. The result is a strikingly accurate rendering of the Okotoks erratic in both its geometric shape and the plotting of all known rock art images. 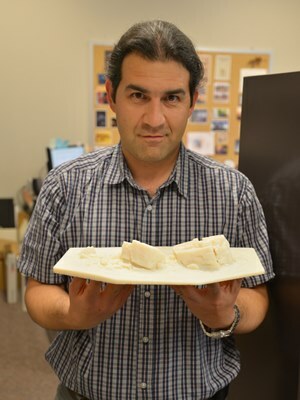 The project also resulted in production of an accurate 1:200 scale model of the Rock that will be useful for planning and educational purposes. 3D rendering of point cloud data from laser scan at Okotoks with enhanced photography overlaid. Red areas are red ochre paint; note square-bodied human figure at upper left. In addition to the rendering and scale model, the project also raised awareness about negative impacts associated with graffiti and heightening understanding of the value and importance of historic resources to the community. Further Alberta Culture now has a sophisticated tool to use for site management. Sadly, the rocks have already been subjected to more graffiti in the months since our project ended; however, we now have accurate information on the type and location of rock art that will assist in graffiti removal efforts. There are other threats to the cultural and natural significance of the Okotoks erratic. It has long been a favoured place for climbers, subdivisions are rapidly encroaching on the site, and public visitation is increasing. There are many challenges ahead in the long-term management of the Big Rock, but thanks to the careful recording conducted through Innovation Program funding we have a solid baseline of information about this very special place that will guide future management. The National Main Streets Conference is a big event. This year over 1,400 people attended the conference and there were approximately 75 sessions to choose from. Needless to say it was difficult to choose which sessions to attend. Of the sessions that I attended two stood out for me as being really helpful for our Main Street members: “The Naked Truth about Well-Dressed Windows” and “Main Street Makeover – Surviving and Thriving during Construction”. Store owners only have a few seconds to convince a passerby to enter their establishment. The quality and interest of store window displays goes a long way in enticing potential shoppers. 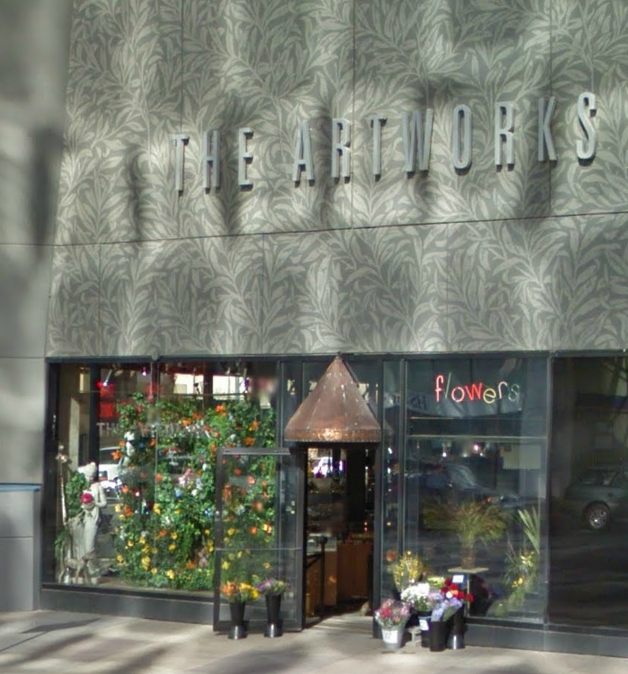 “The Naked Truth about Well-Dressed Windows” provided by Seanette Corkill of Frontdoor Back, a retail consultant based out of Vancouver, Washington, included a lot of practical advice on how to plan for and manage your window displays. Seanette covered planning and investment for window dressings and stressed the importance of budgeting for lighting and props to build a collection that can be used over time. The decision on what type of backdrop to use is important and you can choose from full disclosure (store is visible behind the display), partial disclosure (where the store is partially visible but separated from the display) and closed (display blocked from the rest of the store). Decals are a good addition to storefront but they should be modest in size, not interrupt sightlines and placed to direct the eye to the display itself. Lighting is immensely important and should consist of tracked lighting that will light the top and front of the product on display. Switching topics from the pretty to the dirty, Kristi Trevarrow’s session on “Surviving and Thriving during Construction” drew on her role with the Rochester Downtown Development Authority in coordinating a main street upgrade project in Rochester, Michigan. 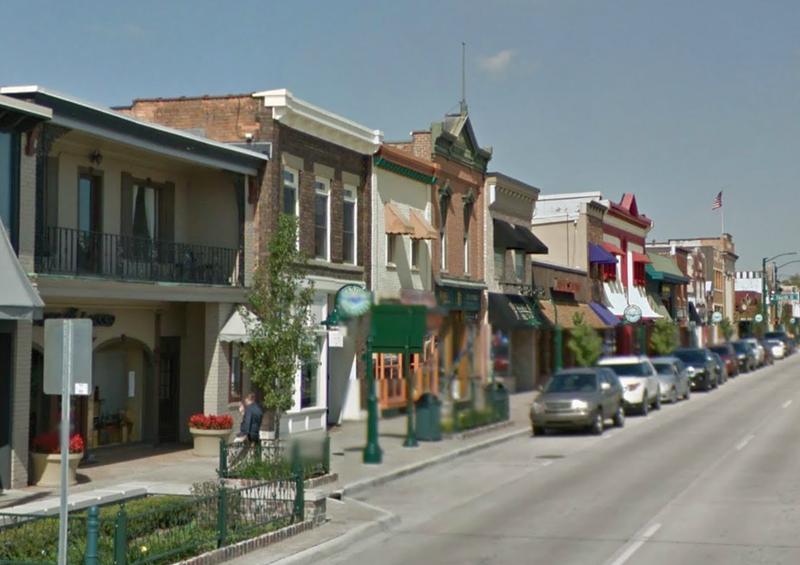 The project involved a complete overhaul of the roads, underground services and streetscape and affected their downtown main street for several months. Her responsibility was to minimize the impact of the construction project on local businesses. According to Kristi, the key to managing business during a successful construction project is pre-planning and communication. In her case, Kristi started holding information meetings two years in advance of the construction and met with everyone she could think of including business owners, residents, local organizations, major employers, property owners and adjacent municipalities. Communications for the project included a project website with regular updates; a brochure with frequently asked questions for businesses to hand out to their patrons; a comprehensive media engagement strategy; social media updates; a field office on the main street for the project (which they built into the project contract); monthly community meetings throughout the duration of the project; and last but not least, a presence on the street every day during construction to field questions and respond to concerns. There were still hiccups that occurred along the way but the high level of planning and engagement by the Development Authority minimized negative experiences. Both high quality window displays and infrastructure renewal projects can go a long way to ensuring your main street is looking top notch. These sessions were helpful in teaching the ins and outs of how to schedule and manage aesthetic projects from the small to large. The Bow On Tong Building and the Manie Opera Society Building are two well-known places in downtown Lethbridge that contribute to the distinctive cluster of buildings that make up Lethbridge’s Chinatown district. Recognizing their remarkable history and exceptional significance, the City of Lethbridge’s council recently designated each as a Municipal Historic Resource. 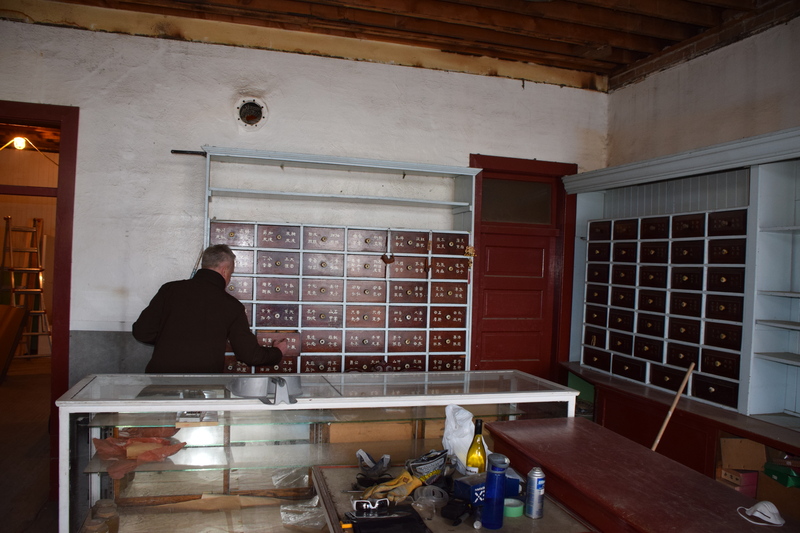 The buildings are now undergoing comprehensive rehabilitation, including extensive structural repairs and the careful retention of historic elements found nowhere else in Alberta. I had the opportunity to visit these fascinating places just before Easter, gaining a glimpse into Lethbridge’s Chinese community during the first half of the last century. We peek inside the cabinets to find, well, I’m not sure. Boxes full of remedies, including “kidney pills”. A 1907 City bylaw restricting all laundries to this area was enforced only if the laundry was Chinese-owned. Other Chinese-owned businesses followed the laundries into the neighbourhood west of Galt Gardens. 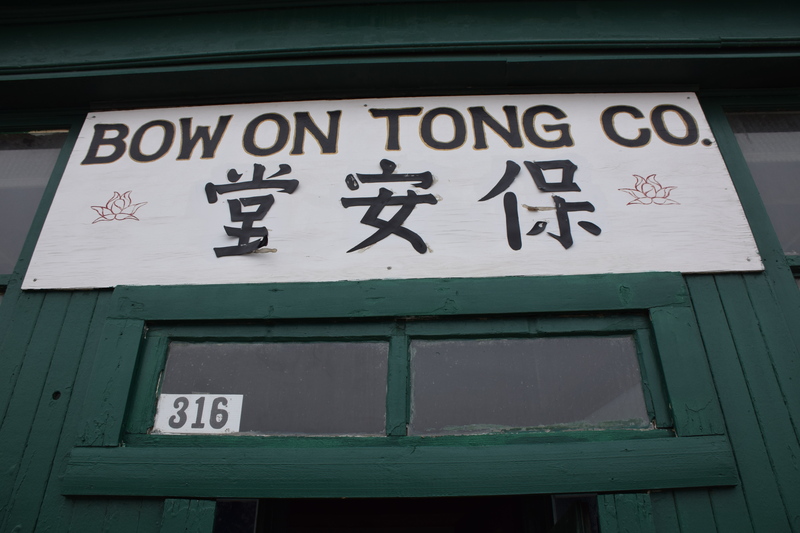 The Bow On Tong was constructed in 1916 in the middle of the city block known as Chinatown, on 2nd Avenue South. Beside it stood the Manie Opera House Building (not its original name), built about a decade previously. Lethbridge’s Chinatown had begun. The basement of the Manie Opera Society is just as interesting. 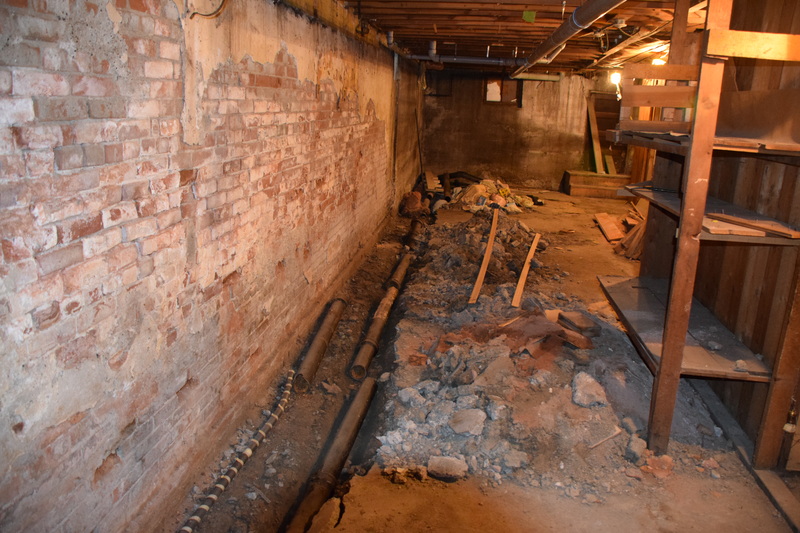 Even with all the construction work going on, I could make out traces of the frail partitions dividing the basement into little rooms. Immigrant coal miners from China once lived down here; their tiny, cramped quarters wallpapered in newspaper still clinging to the walls. A few rooms seem to have been decorated with pictures of American celebrities clipped from magazines—icons of the popular culture of their new homeland. Rehabilitation began last year when cracks appeared in the upper wall of the Bow On Tong, leading to the discovery of structural problems throughout both buildings that was slowly causing them to collapse. Major parts of the work are now in progress include the shoring up of a crucial load-bearing wall shared by both buildings and upgrades to meet the current fire code. Even with the urgency of the structural repairs, the work is being done with painstaking care to avoid destroying historic materials. The pressed metal ceiling of the apothecary, for example, has been carefully removed piece by piece. Each piece is numbered and its location mapped before careful cleaning and repainting. After structural reinforcement of the ceiling and the installation of new fire-resistant drywall (required by the building code), the ceiling will be reassembled, with each piece installed in the sequence in which it was removed. 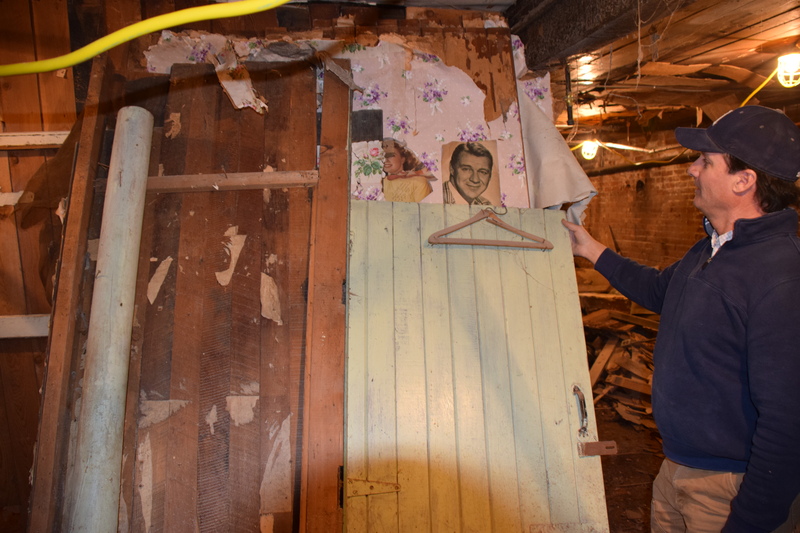 The basement in the Maine Opera Society Building was once wallpapered in newspaper. Some of the pages are still visible. The ambitious and painstaking work I saw is a testament to the dedication of the community of Lethbridge, which has supported the project through local fundraising activities and the donated time of many volunteers. Kevin Petersen, the general contractor, has himself contributed much of his own time. When the rehabilitation work is complete, Albert Leong will return to his lifelong home in the Bow On Tong Building. It, and the neighbouring Manie Opera Society Building, will continue the legacy of Lethbridge’s Chinatown.